Tax time can be stressful, and dealing with the Internal Revenue Service (IRS) causes anxiety in almost everyone. Obtaining the forms to complete your taxes can be done easily by visiting the RS website, by visiting a local library, or by requesting that the IRS mail the forms to your home. You can also obtain transcripts of previously filed tax returns from the IRS at no charge. You can obtain a transcript of tax returns that you have already filed, including Form 1040, by contacting the IRS at 1-800-829-1040. You can also use IRS Form 4506T (Request for Transcript of Tax Return) to request a copy by mail. The IRS does not charge a fee to obtain a transcript of your tax returns, but you should allow at least two weeks for processing and delivery. If you need an actual copy of a tax return you previously filed with the IRS, you can file Form 4506 and pay a $57 fee to obtain a copy. Allow 60 days for the IRS to process your request. You can obtain blank copies of Form 1040 on the IRS website. The form is accompanied by instructions for completion and submitting the form to the IRS. It is important to be sure that you have a copy of the form for the current year, as changes are made on a regular basis. You can also obtain copies of most tax forms, including Form 1040, at your local library. These forms will also contain instructions for completing the form and submitting it to the IRS. If your library does not have a copy of the forms, you can contact the IRS at 1-800-829-3676 and request that the required forms and booklets be mailed to you. 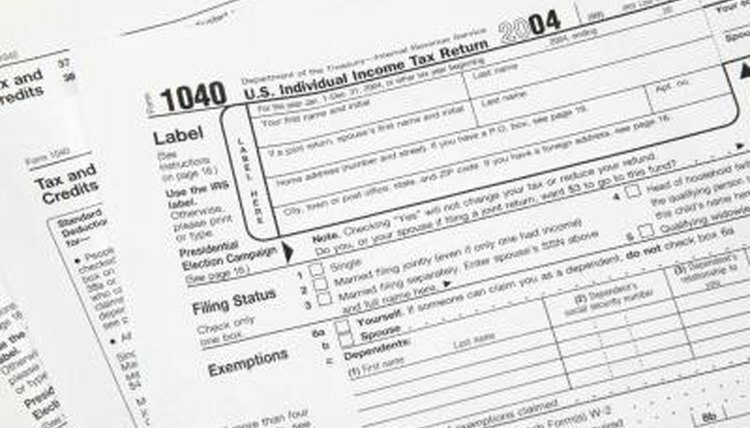 Internal Revenue Service: Need A Copy of Your Tax Return? Lynn, K.. "Where to Get a Copy of Federal Tax Form 1040." , https://legalbeagle.com/5138661-copy-federal-tax-form.html. Accessed 21 April 2019.